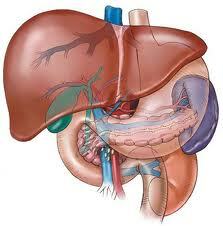 Alcoholic Liver Disease is a medical condition, in which liver damage is caused by excessive alcohol drinking occurs. The disease is preventable, and is a common health problem. Alcohol also provides calories without important nutrients, decreasing the appetite, and resulting in poor nutrients absorbtion, because of its toxic effect on the pancreas and intestine. In result, individuals, who are drinking alcohol in an excessive amounts without eating properly, progress malnutrition. Generally, symptoms of alcoholic liver disease depend on the amount of alcohol consumed. Heavy drinker generally first progress symptoms in his or her 30s and tends to progress severe problems by age of fourty. In males, alcohol can produce breast enlargement and shrunken testes. Individuals with fatty liver usually experience no symptoms. 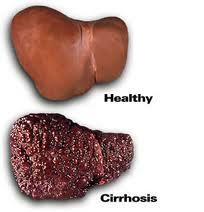 In 1/3 of these individuals, the liver is occasionally tender and enlarged. Alcoholic hepatitis (liver inflammation) can produce enlarged, painful, tender liver fever, increased white blood cell number, and jaundice. Individual with alcoholic liver disease, who has cirrhosis(scarring) can have several symptoms or alcoholic hepatitis futures. Such individuals also can have alcoholic cirrhosis complications, such as: hepatoma (liver cancer), portal hypertension with enlargement of the spleen, confusion, hepatorenal syndrome (kidney failure caused by liver failure), and ascites (abdominal cavity fluid accumulation). To diagnose alcoholic liver disease, doctors obtain a liver biopsy for testing under microscope. In individuals, who have alcoholic liver disease, the liver function results tests can be abnormal or normal. However, blood count of enzyme called gamma-glutamyl transpeptidase, can be extremely high in individuals with alcohol abuse. Also, the individual’s red blood cell tend to be abnormally large, a telitale sign. ; levels of platelets in the blood can be low. If an individual is continues to drink alcohol, liver damage progresses and possibly become fatal. When an individual stops to drink, certain of the liver injuries( except cirrhosis) can repair by themselves, and prognosis is good, that an individual will survive longer. 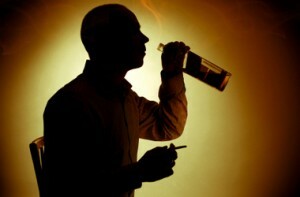 Stopping drinking alcohol is the only treatment for alcoholic liver disease. It is very difficult to do so, and individuals need to participate in a special program, such as Alcoholics Anonymous. Thank you for your well published article. I am quite happy to come across it. Sir, my request if that I have chronic liver deases which I noticed about two months ago now. It has resulted in swollen of abdomen and my two legs which I fund difficult to walk. Kindly help to furnished the type of medicine I can use to cure me of this diseases. I took hot drinks alot but since I noticed it, I have absten myself from further drink of hot-drink.